VANCOUVER - The B.C. government is facing legal action from an environmental group that claims the province doesn't have the right to give exclusive use of a public park to a specific group. Friends of Strathcona Park is arguing in B.C. Supreme Court that the Environment Ministry should not have issued a park-use permit to Clayoquot Wilderness Resort in 2011. 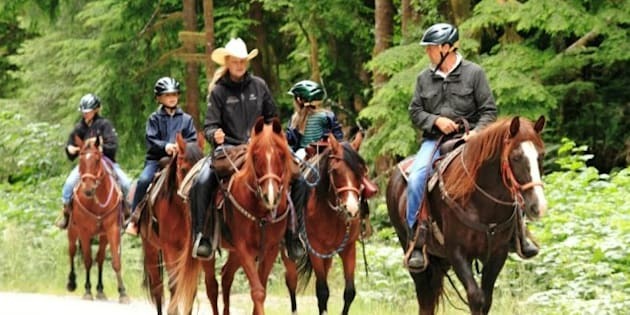 She said that allowed the company to bring guided horse trips into a secluded area of the huge park on Vancouver Island. Scott Bernstein, the group's lawyer, says granting rights to a single business, and what he calls its high-end clients, is not in the public interest. The group's spokeswoman Bridget Horel says allowing a private company the exclusive right to bring horses into a wilderness area diminishes the park for everyone else. She says the case is about ensuring the Environment Ministry protects parks for the good of the general public.